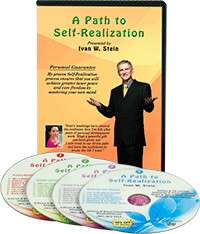 Ivan’s teachings and spiritual insights have become a significant turning point in my life. I now see all my experiences as opportunities to heal my past and transform my challenges for a more positive future. I’m finally gaining the tools to heal my own issues! Ivan, you are a remarkable soul! For years my life seemed like a dense forest with no way out. Ivan’s teachings and guidance have helped me clear the forest and see my challenges, worries and experiences as tremendous opportunities to grow and heal. His wisdom has provided a beautiful light at the end of the tunnel. Ivan’s gift of listening is matched by his loving awareness and the wisdom he offers. His insights have helped me heal my limiting thoughts, become more authentic in my expression and gain a clearer understanding of my experiences. This work has lifted a huge weight from my heart! Ivan’s techniques for understanding and breaking control dramas have enabled me to accelerate my spiritual growth and transform my life. I now have the tools to heal my limiting thoughts and manifest the life I want. I feel so empowered and supported by the universe! Thank you Ivan! You are a gifted teacher! Ivan’s teachings have cleared the confusion that I’ve felt after years of personal development work. What a powerful gift you have given me! I now trust in my divine path and have the confidence to create the life I want!